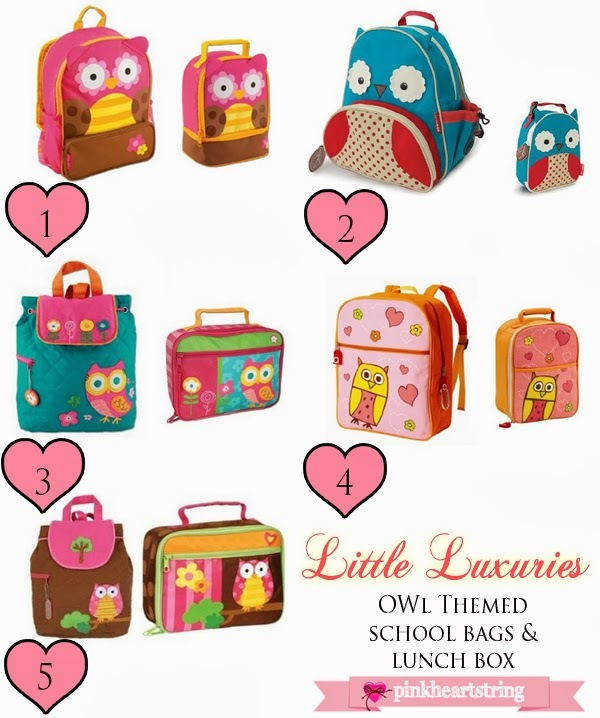 For today's Little Luxuries, I looked for owl themed school bags with lunch boxes that goes with them. Owl stuffs are cute. There are a even a lot of decors and accessories for the home that are owl themed but we'll do that for a different post. For this list, we only have 5 because the rest doesn't have lunch boxes to pair with the school bags. I picked a favorite but this time, I picked two. 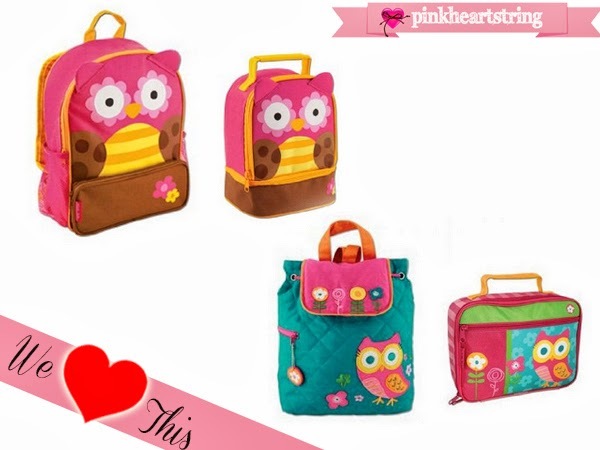 This is a short list but these bags sure are adorable and would look great on your kids too. Well, the truth is, I'm kinda busy working on a design plan for two buildings. So, I wasn't able to look for more. I'll make it up to you next week! For now, I'll do some engineering work first before blogging.*wink. Which is your favorite? Disclosure: Some items above are affliate links. The author of this blog will be compensated once you purchase from the link. Those are adorable! My daughter gets school lunch, but she has been begging me to bring lunch from home. She would love these! These are so cute! I love the owls! I just adore anything with Owls. I love these lunchboxes. How cute! I love the blue backpack with the red polka dots! I love all of them! That said, the second one is the one I see pop up all over the place and think how cute it is. My daughter really wants that one! Omgosh! Those are so cute! Aww! Our nursery is done in Skip Hop Treetop Friends with extra owls. Love this!